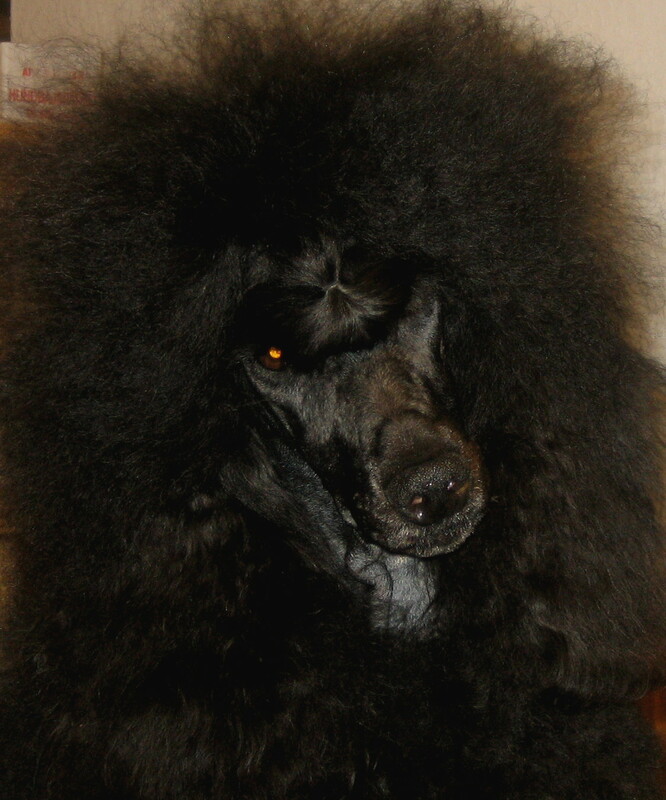 Saga is the second poodlegirl we kept from Fia´s last litter. We decided to put her in co-owner ship. 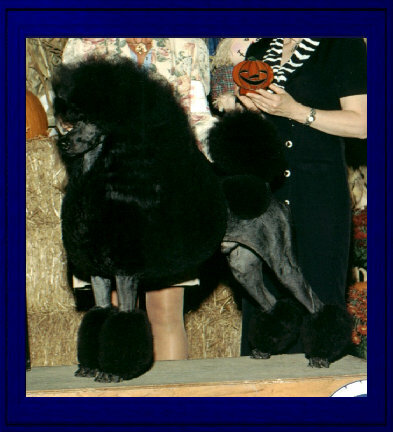 She´s a lovely poodle with correct type & nice temprament. She has very nice movements. The proud sire was even here the topwinning Kaylen´s Reason To Believe "Ross". 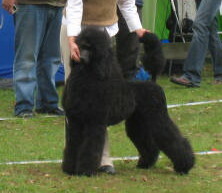 Saga started her showcareer with both BOB-puppy, BOS-puppy & BIS-3 puppy. She is shown with CK = Championquality. She has her first litter with American import LUXCH Kaylen´s Boy At Nathalies. 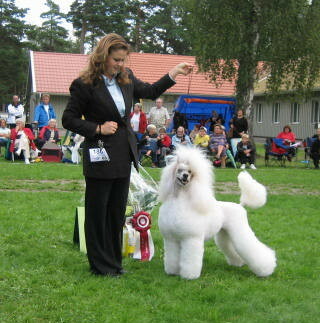 Saga´s 2nd and last litter was with the No 1 Top winning poodle in Norway DKUCH Ankaru´s Crack The Code. Saga is now retired from breeding at Ninihill´s and has now moved to Patricia at Hultagarden http://kennelhultagardens.tripod.com/. Thanks for giving her a wonderful life.